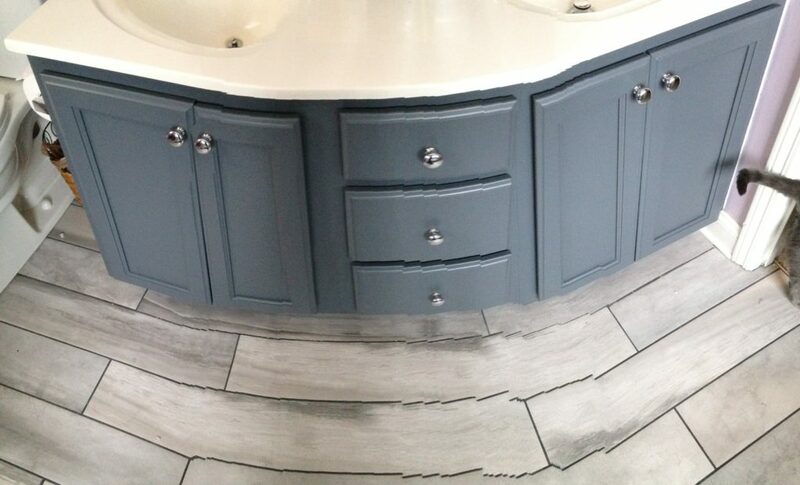 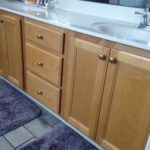 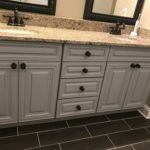 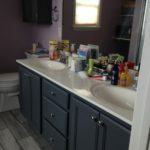 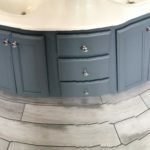 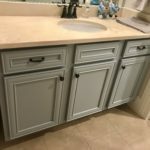 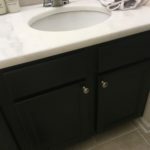 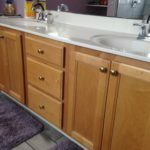 This bathroom got a total overhaul – all new tile and fixtures. 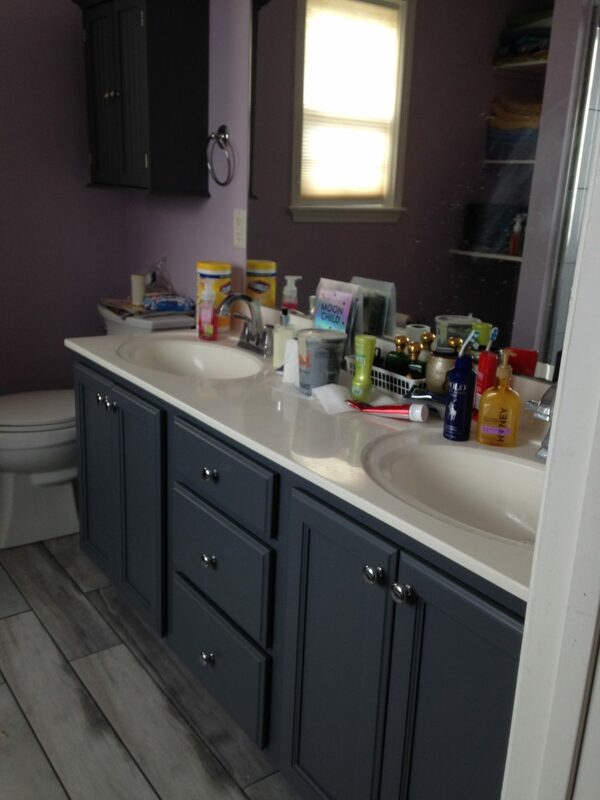 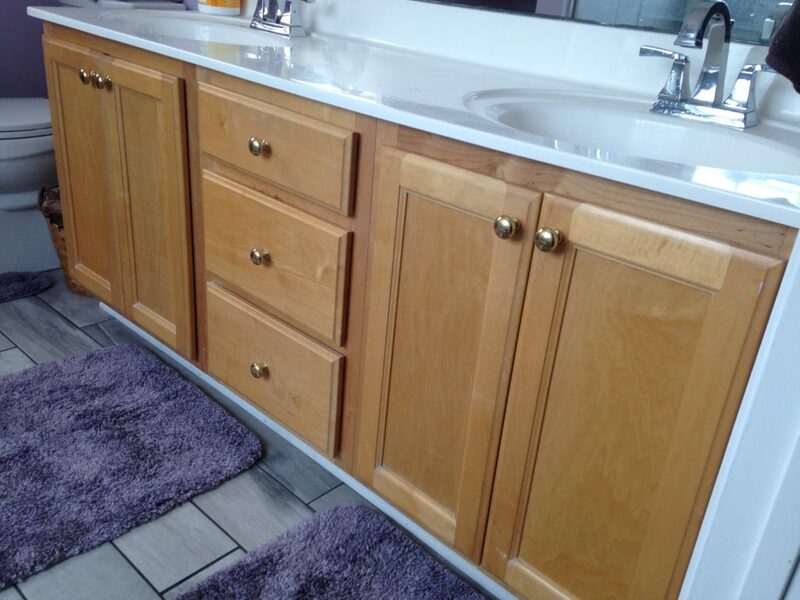 So it made sense to freshen up the perfectly good bathroom vanity as well. 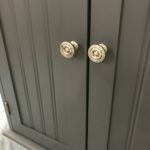 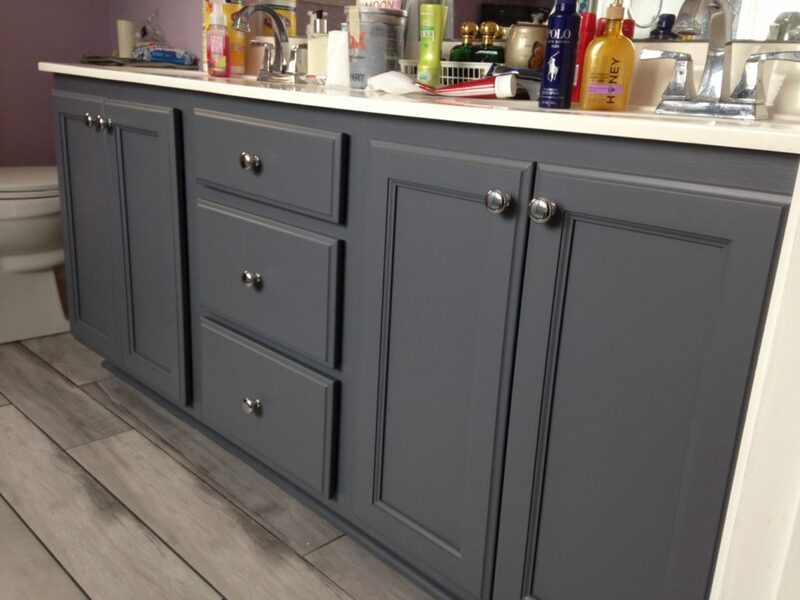 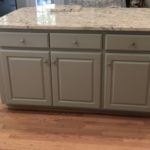 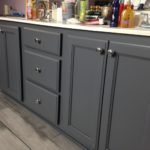 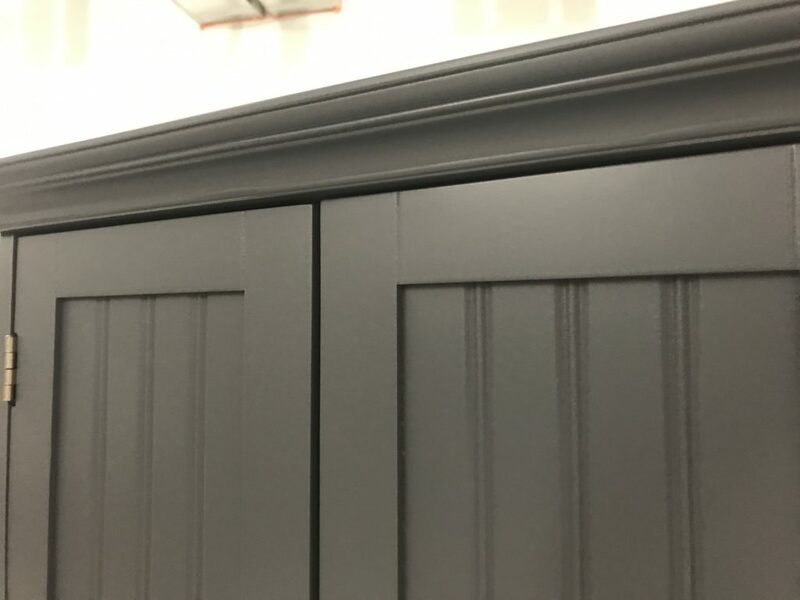 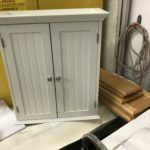 When your cabinets are structurally sound and you don’t need to change the layout, painting is the obvious choice to modernize your room’s look. 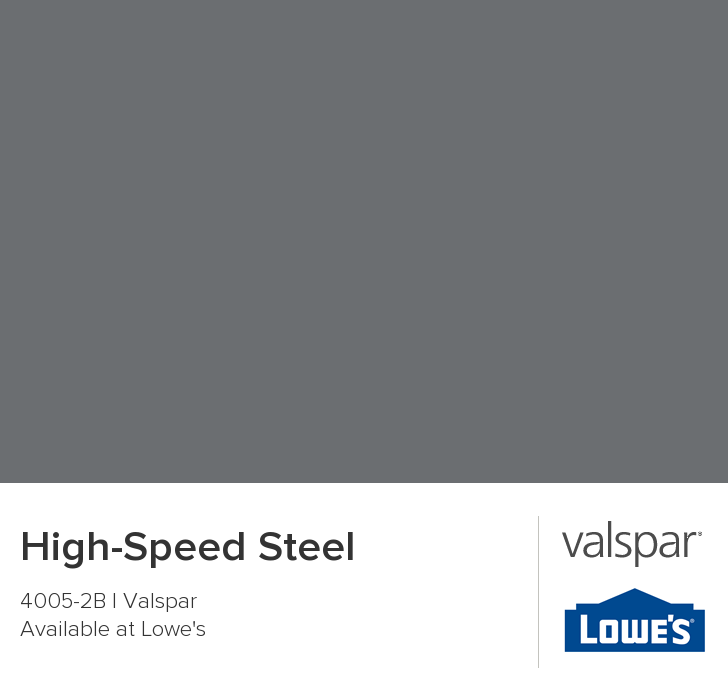 Our homeowners fell in love with Valspar’s High Speed Steel. 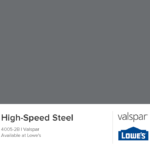 It’s a rich dark gray with just a hint of cool blue undertones. 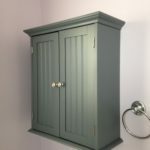 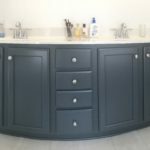 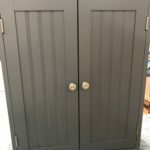 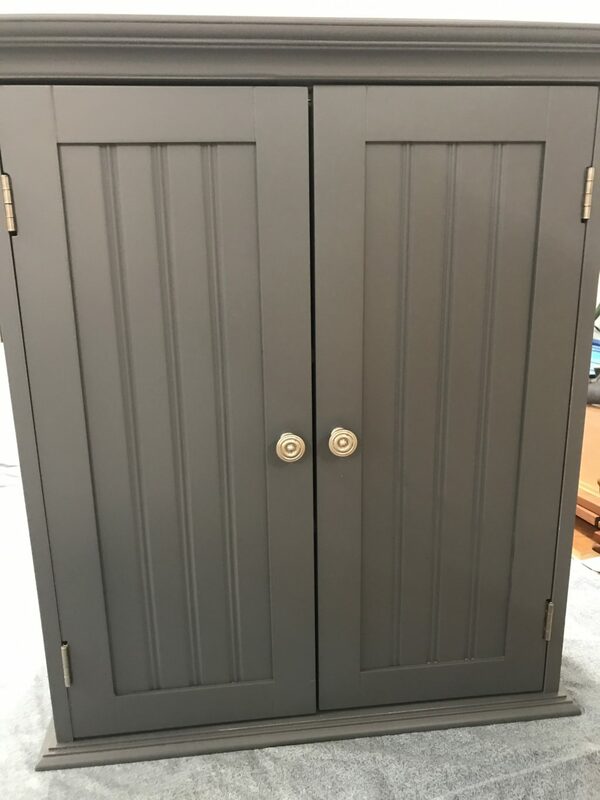 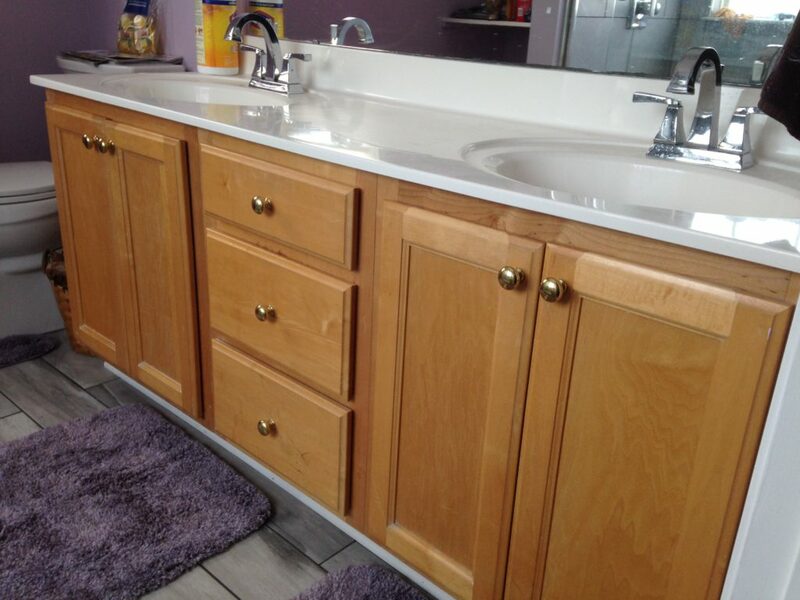 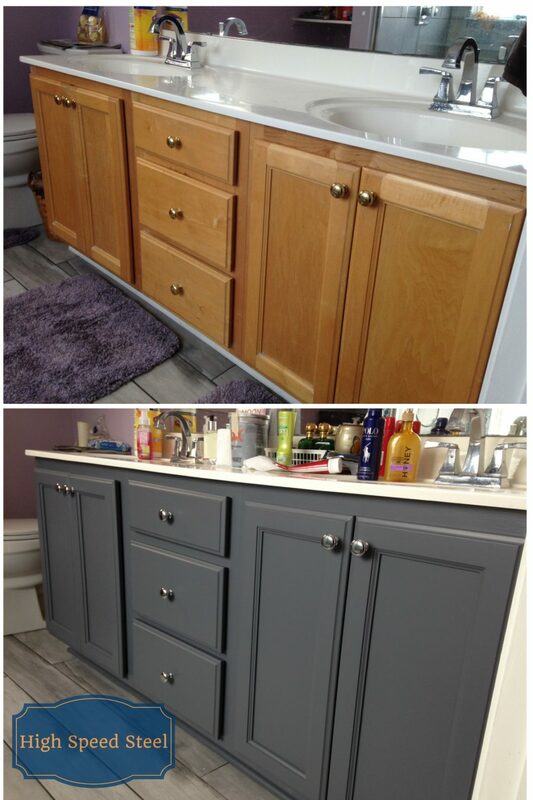 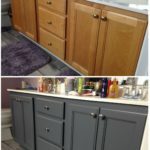 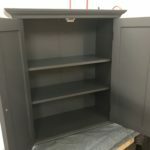 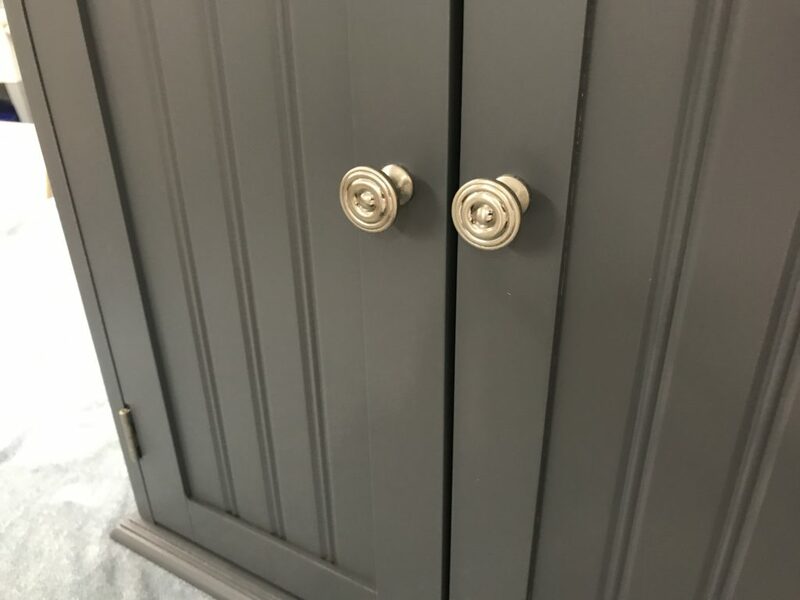 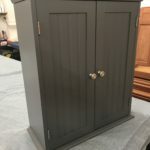 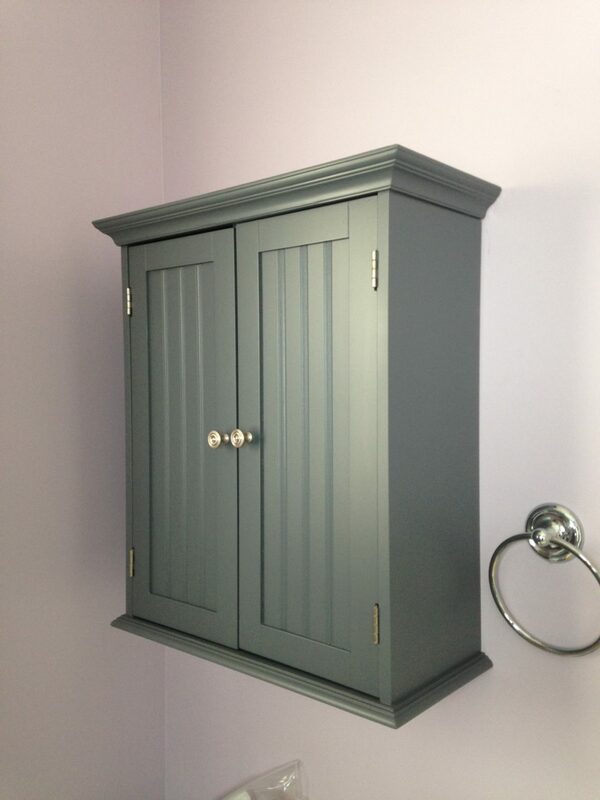 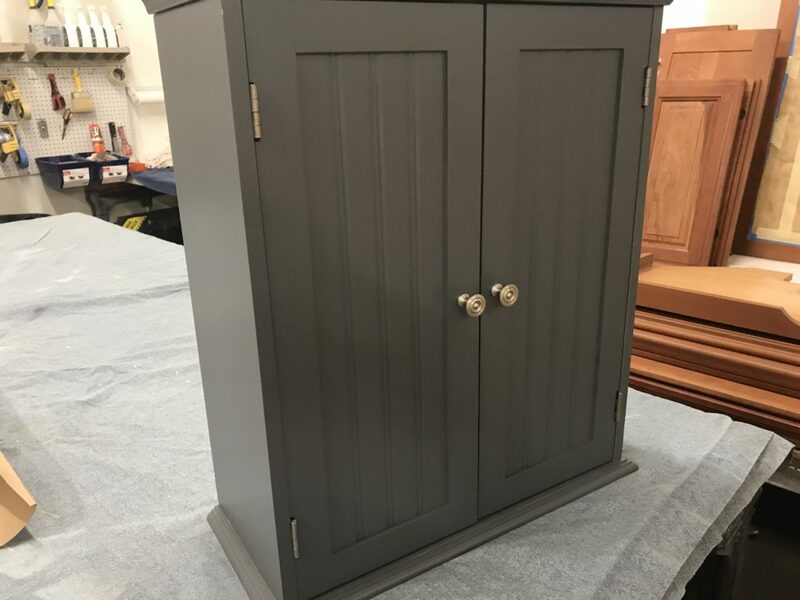 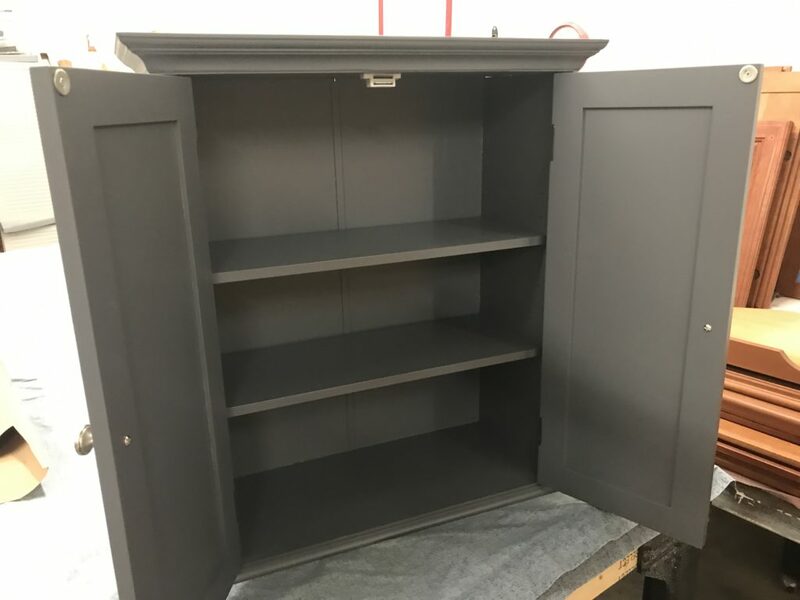 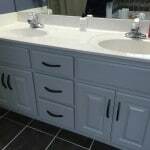 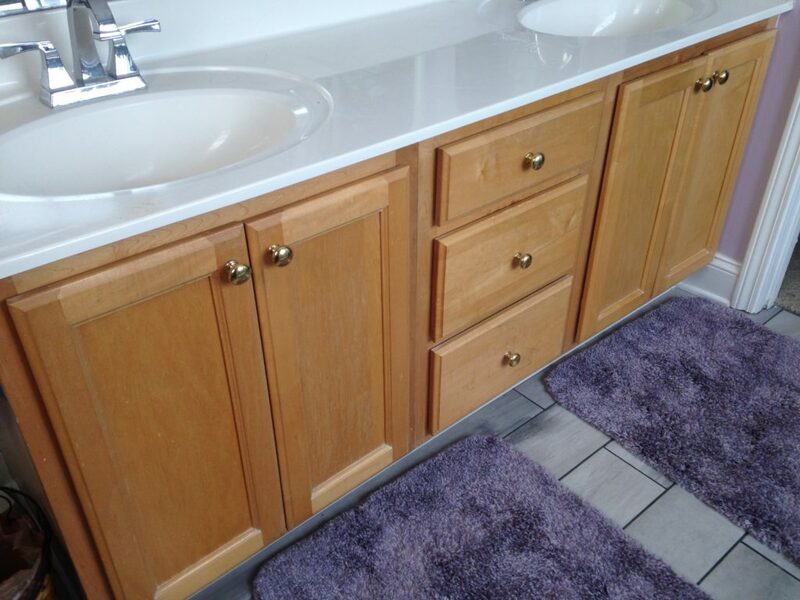 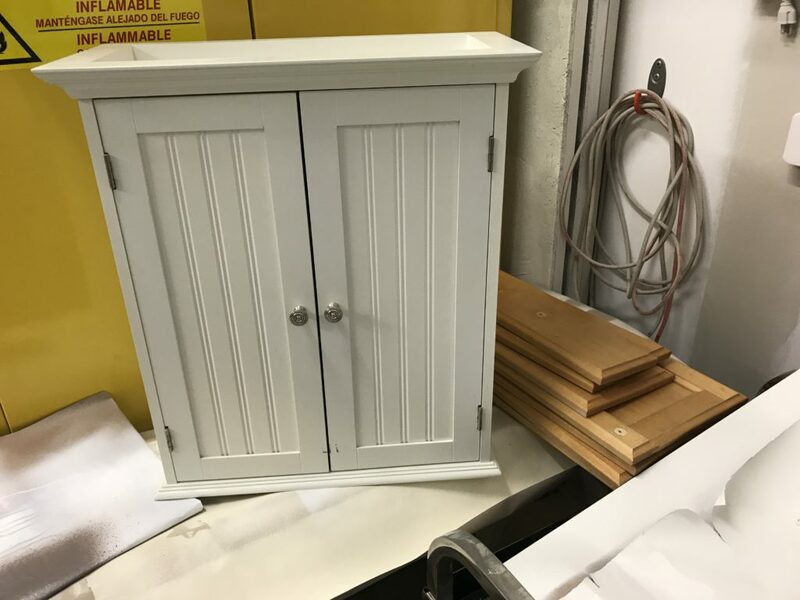 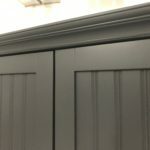 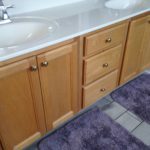 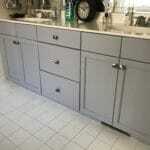 We also painted the wall mounted cabinet so that it would tie in with the vanity.